Yes, they’ve seen it. Once. Twice. Over and over. Cameron Artis-Payne says he had to watch it “six or seven times” just to believe it was him. The New Ball Coach breakdancing to U Can’t Touch This… Artis-Payne said it made his Monday. You can watch Artis-Payne’s full interview at OANow.com. 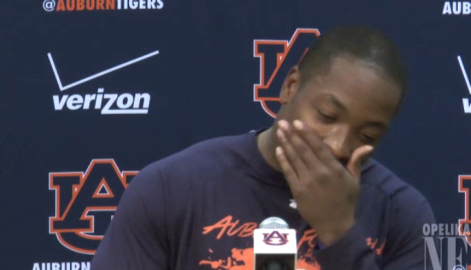 Malzahn was also (once again) asked about the video, saying pretty much everything we first reported Monday. But would Modern Malzahn ever let “the real person” inside of him break it down like that as a way to bond with his team? Related: Auburn fan does spot on spoof of Gus Malzahn breakdancing video.